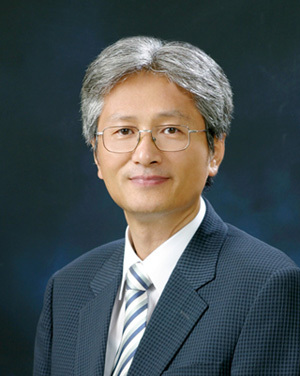 Former professor of KOREATECH, Ki-yeong Kim, was selected as the 8th president by the 96th corporate board meeting on December 11th, at JW. Marriott Hotel in Seoul. As former president of KOREATECH, Ki-kwon Lee, takes his step up to the Minister of Employment and Labor in July, his position remained vacant for 5 months and was recently filled with a new president, Kiyeong Kim. The new president received his Bachelor and Master Degree in Metal Engineering from Yonsei University. He also earned his doctorate degree from the University of Tokyo, and was a lead researcher at Korea Institute of Industrial Technology. After becoming a professor in the School of Energy, Materials and Chemical Engineering of KOREATECH in 1997, he served as a provost, as a director of Human Resource Development Institute, and as the graduate school’s president. In an interview with The Korea Economic Daily, President Kim said that KOREATECH has improved its gratitude to the competence and power of former presidents who came from the government, but now is the time for our university to have a powerful organization and system rather than developing individuals’ capacity. The election was delayed for 1 to 2 months because the director of the Human Resource Development Service of Korea, who also works as a director of educational foundation, was elected late. However, it was not only for that but also because of the controversy regarding the position of the new president remaining vacant for 5 months. In the meantime, many say that professor Kim filled the vacant position because of his fifteen-year career in the research institute and the 17 years in addition that he worked as a professor and administrator. Hence, he is perfectly well-suited for the position. When President Kim was asked about the plans to manage the university, he mentioned about improving the percentage of employment and enriching the spirit of the community. “People think that the engineering students lack in humanities and teamwork in general. Therefore, I am going to emphasize the education of living together to them”, said the president. * 불건전한 내용이나 기사와 관련없는 의견은 관리자 임의로 삭제 될수 있습니다. Copyright Korea University of Technology and Education All rights reserved.